Nothing like a burning church inside a giant truck. 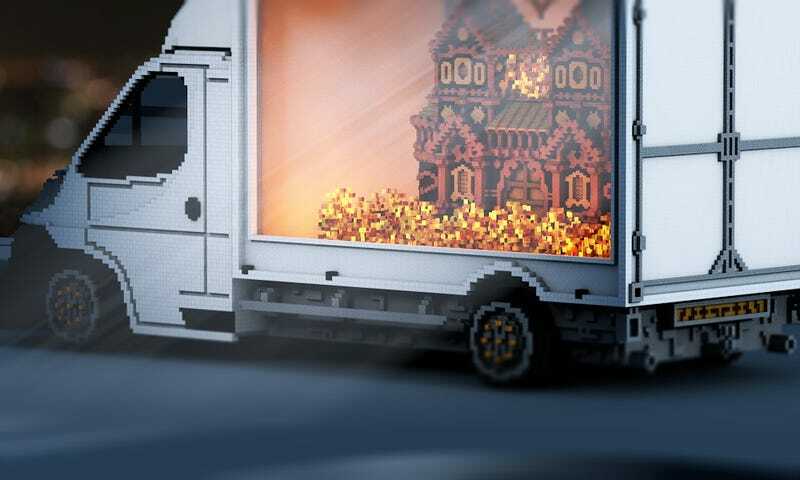 “Carry The Impossible,” as it’s called, was crafted over a period of six hours by PlanetMinecrafter MrBatou. It really is a big art installation, even if the very pretty renders don’t show it. But you can totally see it if you take a look in-game. Want a gander? You can find the map download here.